Free 3rd party accidental & liquid damage Insurance worth ₹1,800. 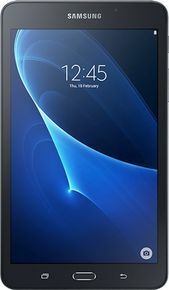 The Samsung Galaxy J Max, sadly comes across as a confused product, which fails to excel either as a smartphone or as a tablet. The J Max is very perplexing device. Samsung says that the J Max is designed for those who are looking for a complete entertainment experience on a mobile device. Galaxy J max is a good choice in budget segment. It offers lot of features like good camera res. Flash for low light.